Welcome to the official website of Baan Phu Lae Resort, Ko Lanta. 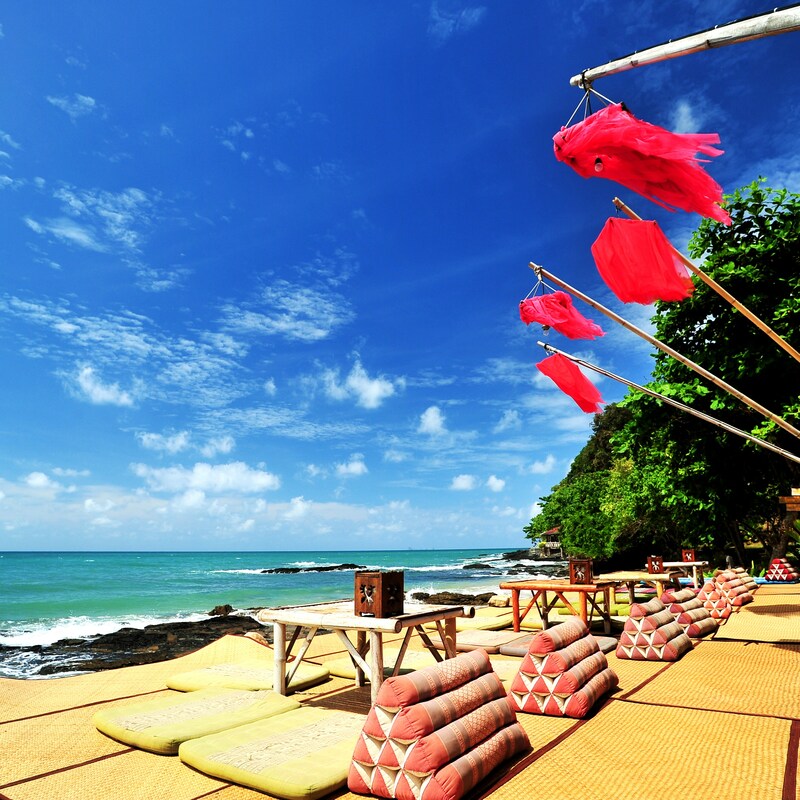 We are located on the stunning Mai Pai Bay, overlooking the southernmost beach on Ko Lanta island, Krabi. This peaceful bay is spectacular with its crystal clear water, white powder sand and the mountainous National Park jungle as our backdrop – it’s the ideal place for anyone wanting a tranquil holiday away from it all. Baan Phu Lae, or ‘the home between mountain and sea’, has a long term Tripadvisor Certificate of Excellence. We offer free pick up and drop off anywhere on the main island road. Please use our website to find out more about Baan Phu Lae or to get in touch with us and we will take your booking or answer your question. Keep up with our news and see more photos on Facebook. Neung and Orn.